“Spectemur Agendo” is the schools motto in Latin which means “let us be judged by our actions” which is is important not only for the SACS boys only, but for all of us. This week we have Andrew Paterson sharing the hard work SACS Rugby front row crew have been doing this year. We thank Andrew for his hard work, and constantly helping us (Toki) with scrum advice and feedback which helps to keep our videos and content relevant for coaches today. Thank you for your on-going support Andrew, and thank you for ensuring the next generation of front rowers at SACS are well prepared for the future of the game. SACS (South African College Schools) is the oldest school in South Africa established in 1829 and have recently celebrated 150 years of SACS rugby in 2013. 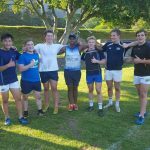 A few years ago SACS decided to take a step up with their rugby and invested in their coaching staff which is a decision which has paid off in the excellent results the school has achieved the past few years. The coaching staff are a tight-knit group across all age groups who work together and support each other 100%. Gone are the days where SACS rugby teams would be a pushover, the respect is back and the boys are proud to be SACS rugby players. The importance of hard work-team culture-integrity and most of all -becoming better people are pillars at SACS. They also involve non teachers at the school and this is where I assist with the scrumming coaching and also help mentor the forwards. Its really rewarding seeing the boys grow and develop into fine young men. Learning and sharing information on rugby like TOKI Services does is fantastic. I believe in sharing and learning from one another enables one to grow yourself even further. 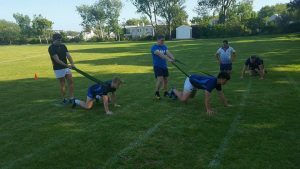 We really look forward to the season ahead and putting all the pre season scrumming TOKI drills into real use. 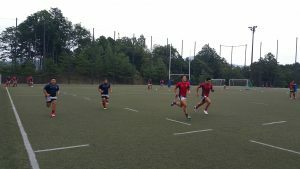 Having coached in NZ at Heartland and provincial age group level, and even getting to work with the Toki guys through my Coach Educator qualifications, I’d been chasing making rugby development more of my working week. Eventually that means finding someone to pay you for it and those roles can be hard to come by with the rugby talent in NZ hence the shift to coach off-shore. (2) a patient and understanding wife bless you Tania! When I was appointed to coach a D1 Mens club in the USA it was initially through my club connection to Eric Fry who had in turn linked me to Mike Tolkin the USA coach. Similarly, this opportunity has come about through my club connection to Ross Kennedy now an academy coach with Canterbury schools linked to Kyoto Sangyo University. Once your linked in I think it’s on us as coaches to be credible and make the most of the opportunity. As we say at home – do the mahi, get the treats! I’m one month in and its been a whirlwind. Our facility is across the road from the University campus, and they’ve housed me nearby in the International Student dormitory. The initial focus was tripping around Kyoto getting life set up –acquiring a gaijin or foreigner card (carry at all times), a bank account (should have got Visa, not a cashcard, to make better use of the eftpos here), a local sim card, internet access, university access cards, etc. Fortunately, the University as my employer had assigned somebody specifically to help me through these tasks and he’s worth his weight in gold. I’m only now really starting to find my way around the sprawling but scenic suburbs that are Kyoto, with each ‘first time’ to use the bus or the subway or a taxi a new adventure. Fortunately, locals are always patient and ready to help and once you’ve got a sim card Google can be a trusted advisor! Amongst all that a first months rugby coaching has flown by. We’re still in pre-season until October so our usual routine is 2 sessions a day, conditioning in the morning then field training in the afternoon to work around the students schedules. 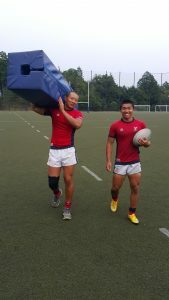 They go hard and long with most trainings a minimum of 2 hours and a scary number of repetitions. Kyoto’s temperature has been around 30 degrees since I got here so the occasional cooling typhoon has been welcome! The middle of the month saw us take all 4 squads to Sugadaira for 2 weeks, a rural ski resort town near Nagano. 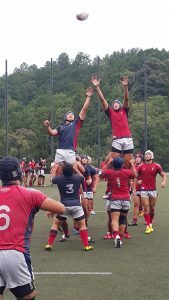 Called ‘Summer Camp’ most of the Japanese universities turn up and train / play against each other across sports like rugby, soccer, cycling and track. What an amazing set up with sports fields everywhere – spotted among market gardens – our field was number 34 and I don’t feel like I saw them all. Apparently, some of the 2019 RWC teams will play there. What has stood out so far? The first thing that has stood our for me? The tangata, it is the people! My early impressions are that Japanese people are thoughtful, generous, and incredibly hard working. The perception that Japan is steeped in the deepest of traditions plays out most visibly in the way those who are older or in more senior roles are deferred to. 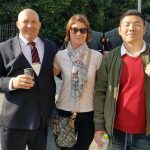 In my rugby environment, this is reflected in the absolute authority toward the wishes of Onishi-sensei, our Director of Rugby with 42 years tenure. Even as a new and gaijin coach the same protocols extend to me. Any effort to lay out training cones or bags quickly leads to a flurry of young players keen to explain they must do it for me! On the other hand it is obvious there is a state of change and a relaxing of tradition amongst some of the younger people in Japan. When I observe the players away from the authority figures they are relaxed, teasing each other and everyone else – acting much like student players in NZ! 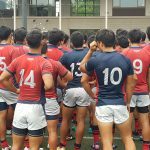 From the language (‘ohayo gozaimasu’ or good morning quickly becomes ‘mas’ or even ‘sss’) to the clothing brands (anything Under Armour rules in these parts) there’s a much less formal side to Japanese university rugby that is great fun when it pops to the surface. 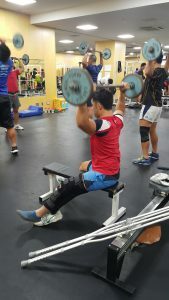 I’m loving it and can’t wait for season to start but there are some real challenges brought about by my poor language skills, isolation from family and friends, and just the way Japan rugby works. I’m up for those though and will keep you posted on progress!